I have always found that when I can apply an astrological principle to my own natal chart that the definitions of the planets become alive and colorful, to such an extant that it begins to take on a life of its own. This I find very true with Saturn in my ninth house that seems to discipline and control the way I think and at the same time gives me the freedom to roam where I want to go. A paradox in many ways, in that the planet is my teacher and at the same time the pupil I am instructing, and where it is a major malefic, it is at the same time a major benefic in my life. It is hard to explain as the meaning of Saturn to me encompasses time, boundaries, limitations and structure, but yet at the same time it encompasses timelessness, no boundaries, no limitations and no structure. Saturn instills in me the faith that what I think is impossible may be possible, and that within the restrictions, unlimited possibilities are at my disposal. This planet, like all the planets are the foundation and the building blocks to our future, it begins to release its energy, power and knowledge for our benefit at the moment of birth and we will need to become responsible as we work with it. Unfortunately or fortunately for me, I have come to the conclusion that with Saturn, there are no free lunches. One needs to work and be accountable for all of one’s actions and thoughts, and there are no excuses for blaming the stars for one’s predicament. We are the cause, and the effect is our responsibility, and the planets, especially Saturn are only the indicators of our possible actions. We still have the choices that need to be made and to be answerable for the choices we have made. The truth of the matter is, no matter what house Saturn is placed in, there is no such thing as a free lunch. Saturn is the way shower and points the way we need to go, but at the same time he is relentless in showing us that we need to have determination and perseverance to accomplish what is needed to reach our goals. My Saturn in Gemini in the ninth gives me the ability to see many sides of an idea or thought, but at the same time I need to organize my thoughts and work with them, until they are strong enough to stand on their own. Saturn teaches me that our thoughts and ideas are like children we give birth to. We bring them into this world and we need to nourish and protect them, until they are able to fend for themselves. Saturn does the same for us as he guides our steps and at the same time gives us a structure to work with, in order to achieve our goals. Although resilience is important, wisdom and the ability to adapt at a moment’s notice are some of the hidden assets of the planet. Form is a limitation the planet has given us, but once we have master it, we are allow to go beyond it to new horizons. Mastering what is given takes hard work and many hours of trials and errors before we are able to have the confidence to explore new areas of discoveries that are within our reach. Saturn gives us the ability to face the most difficult situations and turning points in our lives, but at the same time he has given us the choices to choose whether we would take that road or take another path, which might be easier. Whatever option we decide on, Saturn is there to make us responsible for our choices. Saturn has guided my choices and the philosophies, ideas and standards I have decided to adopt as my own, but the road there has not been easy, and is full of trials and errors. Even at this point in my life, it is a continuing journey of discoveries to whom I am and to whom I am going to become are a constant surprise for me. Without Saturn, the guiding light and enforcer, instructor and disciplinarian, I would have lost my way a long time ago. My experience with Saturn has only taught me that there are no free lunches where this planet is concerned. In a way I am happy there isn’t, for without the struggles I would not have the confidence to encounter the unknown, of what the future still has in store for me. I find studying astrology very exciting, especially when one discovers something about oneself, which is hidden somewhere deep inside. When it is discovered it is like a treasure found. The other exhilarating thing is when you realize why you do what you do, and then you discover that wasn’t the reason after all. At my first astrological consultation, I was told I would be a teacher, teaching astrology. I never gave it much thought as I was pursuing a career totally different and I was not interested in teaching any subject at the time. Certainly not something that I thought would ever become my strong interest and hobby. The strange and funny coincidence was, when I was attending middle school, the teacher enrolled me in a teaching program to see if that would become a direction I would take when I would begin my college education. I realized early in the program that I enjoy working with people, but teaching was not my forte. Beside that, I did not enjoy or feel comfortable standing in front of a group and lecturing to them. To this day I feel uncomfortable and tend to fall apart even among friends even if all I had to do was to stand up, without saying a word. Everyone who has ever looked at my chart has told me the same thing that I would be a good teacher of astrology, and I have never felt comfortable with the idea. It has always been a sore spot in my conversations with my peers, as I was always being enlisted in helping them in this area, in which I have always declined. I always wonder if they missed something, or was I deceiving and deluding myself, and that teaching was my true calling. Fortunately or unfortunately, no matter how I thought about it, I could not see myself as a teacher. In fact I was being interviewed on a radio show, explaining the methods I used. After hearing the recorded tape, I couldn’t wait to destroy it. I have realized a long time ago that I do have the patience of a teacher and am very good at laying out a plan to teach certain fundamentals of a subject matter, but teaching full time is a different story. Like a teacher I enjoy the discipline one needs in organizing one’s thoughts in a game plan, it is another matter to express it to others. It seems to me that teachers need to have many qualities to be good and the one requirement they need, I don’t have is the ability to speak well in front of others. In trying to understand why I prefer not to be a teacher, I began to wonder if there was something wrong with the delineation of my chart, or was there a subtle influence that was missed or overlooked. My Saturn is in Gemini in the ninth house which I hope might give me a clue, in that it was a mutable sign. Was that the problem or the cause of the misunderstanding? I decided to check all my books and the internet to see if I could discover any light on the matter. Luckily I ran across the keyword associated with the planet in this particular position which fits me to perfection, and I suddenly felt I was no longer in need of seeking further. The word was inadequacy. I definitely have the feelings of being inadequate in performing the duties of the teacher. It occurred to me that Saturn did represent me in a way I never thought about, since this position could represent someone seeking or teaching the spiritual or philosophical ideas. That really wasn’t me either, so I decided to play around with the word preacher, one who teaches or proselytizes spiritual ideas. Suddenly the light turned on, and I realized that I was a proselytizer of any ideas that worked for me. If I found something worthwhile, I wanted to share it with everyone in hearing distance. I wasn’t teaching others, but I was sharing the good news which where the concepts and the ideas I found meaningful and helpful in my life. Many months have passed since I written an article entitled “The emphasis of Saturn in the Natal Ninth House is Better Late Then Never”, and had many comments, which have confirmed my thoughts on the subject, but has also made me dig deeper into what else lies hidden in this quirky planet in this position in the chart. I began to realize I have a love, hate relationship with Saturn, Gemini and the ninth house. It is strange how Saturn evokes an intense emotion which seems similar and more appropriately assigned to the characteristics of Pluto. I love it in Gemini and in the house it is in, but at the same time I hate it intensely and wish it could be simpler. It has confused me and has made simple things complex, and made me execute things beyond the call of what I expect of others and myself. It becomes a problem, when one interprets and delineates Saturn’s qualities with what the ninth house represents and what Gemini has to say for itself with the concept of delay, but not deny. Saturn demands structure, steadfastness, limitations, conscience, stamina and consistency. The ninth house denotes foreign lands, long distance travel, philosophy, religion, higher studies, legal systems, information, and teaching. Gemini represents communication, inquisitiveness, adaptability, versatility, and an interest and curiosity in everything. I began to revisit the subject as I realized that what I discovered was missing late in my life, had begun a passion with an energy and force of its own, and a satisfaction, joy and confidence I had never experience before in my life. It was so amazing I began to wonder if I could have discovered this excitement and its magic earlier. Or did I have to wait for the right time, as everything in the universe seems to be were it should be, when it should be. Was I right, in trying to use astrology to see if I could have been able to uncover my passion sooner? Looking at the ninth house and the planets within, which should have given me a clue, but instead I missed it. Was it because I wasn’t to know before the right time, or was it stupidity and misjudgment on my part? I have always known that I had an active imagination with Mercury conjunct Uranus in the ninth, but I never related it to a possibility that it could ever be connected with something I would enjoy doing and using. Was I seeing the descriptions as just words with a set meaning and not giving them a broader and wider interpretation, my down fall? For example was I seeing the word teacher as a description of a person in a classroom, and left out the possibilities of teaching through other communicative possibilities, like story telling for example in a relax environment? I am sure there are more ways than one to see the word, such as a guide or a creator, rather then just an authoritative figure of the subject. A dancer may instruct and inspire by only the movements in a performance, without ever saying a word. Now that is a very different way of seeing teaching as an idea, through sight. Since it seems in my chart that it indicates that I had flexibility with my decision and directions in life and was not set in my ways. Could I have had the opportunity to have developed my passion earlier, even if I had not recognized its importance of it at that moment in my life? Thinking about it seriously I have to say no. Knowing myself, since I felt I had no skills in this area until I was forced into it. Discovering the possibilities it could offer to me and opening doors to opportunities I never imagined, expected or hoped for, spurred me on to work with it. Although I have always felt that the Gemini in me, always loves to show off, especially the skills it is proficient in. It tends to be very shy and unsure of it self when treading on unfamiliar grounds. Having unfamiliarity and no confidence in the subject was a big stumbling block. Would I had discovered my passion, had I not be pushed up against a wall? The answer is no. What I think happen, was that the force that pushed me was Saturn. Saturn does its thing when it wants to, and at its own pace. So my belief is that Saturn may delay until the time is appropriate, but not deny it, if we are open to accept and receive it. What are your thoughts? As far back as I can remember I was instilled with the thought “knowledge is power”. How that thought came to become so powerful in my life was a mystery to me at that time. It has been a motivating source of energy that seems to originate from my childhood trying to blend two different cultures into a viable one. The fact that I was called a nerd because I needed to wear eyeglasses when I was four years old isolated me into my own world of imaginations, fantasies and books. This started me on the road to educating and broadening my mind. Although I have always considered myself intelligent, I have never considered myself an intellectual. In making this statement, you the reader may find this a contradiction or an odd statement, at best. I am capable of inductive and deductive reasoning, but to explain how I came to the final conclusion is hard for me to articulate. The problem I have, is I am not sure how much is my ability to reason, or how much of it is my intuition, which goes into the decisions and choices I make. It was during my sojourn into the study of astrology that I became aware that the ruler of my ascendant and my midheaven was Mercury in the signs of Virgo and Gemini, respectively. This was like a light bulb that just got turn on, allowing me to begin my journey into understanding how I think, and where my philosophy of life comes from. Astrology gave me the keys to why I do certain things the way I do. It opened doors to new vistas of doing and solving problems in my life. To me to understand how we think and operate, are the first steps in achieving one’s goals and ambitions. Suddenly I realized that my curiosity into knowledge and information was already foretold in my natal chart, and that was a pleasant and a wonderful surprise, proving that astrology works. Morin, my mentor in traditional astrology always connects the dots by comparing and relating the opposite houses, planets and signs to get a broader interpretation in what is going on in the natal chart. An example in my chart, Mercury in Gemini in the ninth house faces an empty house in the third in Scorpio. Mars the ruler of Scorpio is in the sixth house in Pisces, and the ruler of this sign is Jupiter, which is in Cancer on the cusp of the eleventh house. Connecting the dots, one realizes one can’t just delineate and interpret Mercury without seeing how Jupiter colors it by revealing that it is the mirror image of each other; an eternal circle with variations of thought that go to one end of the spectrum, and then returning back to the other end. Mercury makes me see things in a practical and pragmatic light, and my philosophy of life is not just ideas, but a way of life that fulfills itself. Jupiter in Cancer makes me develop a philosophy that will not only work for me, but includes the welfare, dreams and wishes of all those I am connected with. The way I see life is the way I see a perfect circle, no beginning and no ending. As the saying goes “all for one, and one for all”, declares that one must walk the talk as shown by Mars. One realizes that one cannot interpret Mercury, without considering Jupiter as the yin to the yang. 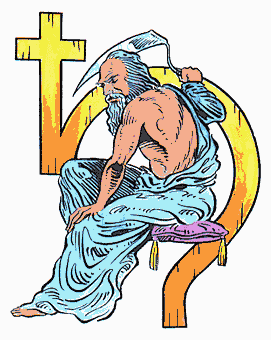 When seeing the Zodiac as the traditional astrologers have, one sees Mercury in Gemini in the third house of communications opposite Jupiter in Sagittarius in the ninth house of philosophy and ideas. The strangest coincidence, or is it, with Virgo in Mercury in the sixth house of service and health opposite Jupiter in Pisces in institutions and the sacred mysteries. If we look at the planets with its’ inner opposites, the delineations become clearer with complexities that give many dimensions to the individual. Combining Mercury and Jupiter together, paraphrases what Agatha Christie’s greatest detective always comments about “we need to let the little grey cells do their work”. The longer I live, learn and experience life, I realized how much I have misunderstood and misinterpreted the planet Saturn with its attributes, talents, problems, frustrations and its ability for retaliation if not obeyed and conformed to. It is a Planet that the ancients have feared and have been cautious with as they consider Saturn malefic, and when I was a young student in the study of astrology, I was in awe of its power and destruction in one’s life. With modern astrology the planet has taken up the role of teacher, denier, and the unexpected role of demonstrating the need for patience in our modern world. Experiencing Saturn in my life with all its repetitions and cycles, my thoughts and feelings have come to the conclusion that the planet should also be consider the way shower to all things, and a delayer of accomplishments of the desired results with a twist for drama and showmanship. The need to understand how and why patience is important in our success is the key or magic word that will open the door to unlimited happiness and satisfaction. Saturn’s main blessing, if one can call a malefic a blessing, is that the blessing of patience helps us to develop the needed skills. It also teaches us through our ability to use our intuitive skills to decide when the time is right. The right time which some people call luck, is the ability of waiting until we have perfected our skills and being able to demonstrate our skills to an agreeable and acceptable audience. This makes Saturn appear to deny and delay our dreams, but as of late I am beginning to feel that timing and waiting for the right time is the key. That Saturn is not necessarily the planet that denies and delays, but is the planet that knows when it is the right time, and here is where patience is needed, so we don’t jump the gun, and lose the right moment for success. Saturn in some natal charts tends to allow success in some areas much later in life, making us feel that Saturn delays and possibly denies our dreams. My thoughts as of late on this matter is, it is better late then never. Yet I feel that the right time was when it happens, because the Universe knows when we are ready and if we are not. Saturn in a chart does not necessarily promise a good or bad outcome, it is how we use Saturn’s resources and energy that determines the conclusion. Saturn restricts and makes us use whatever resources, talents and ideas we have in our bag to come up with something that will make a difference. The restrictions Saturn lays in our path helps us to decide what is really important to us and gives us the reasons and determinations to pursue goals and ambitions we really never thought about before. Saturn is like Jack in the box, when one opens the lid, jack comes jumping out full of drama and showmanship. I have noticed in several charts of people who have achieved other successes later in life that the talents and abilities seem to come out of nowhere. The truth of the matter is that the talents and abilities have been undergoing development for a long period of time, before we see the finish product. Saturn fools others by letting them think, that there is no work, frustrations or delays involved to achieve the finish goal. An example in my own life is with Saturn in Gemini conjunct Uranus in the ninth house which might imply I would like to convey my outrageous imagination through writing. Since I have artistic tendencies in design I never ever thought about writing, especially since I have always felt inadequate in grammar, and composing complex ideas within a paragraph, was out of the question. Just writing a thank you note would bring fear to me, that I would find all kinds of excuses to avoid it. It was not until I was pushed into writing this blog because of a stupid bet in order to explain why I love studying astrology and my particular view of the art as a hobby and a career, that thoughts about writing changed. Saturn in any chart is always in the limelight and one needs to discover where Saturn out shines in drama and showmanship in one’s natal chart. A few weeks back I read an article of interest and importance in which afterwards I felt like kicking myself for not thinking about the subject matter before. I began to wonder how many of us have insightful moments and then felt foolish and stupid at the same time? Having had this fleeting period of inspiration, I began to embellish and incorporate what I learnt to other areas of astrology to give me a better understanding in delineating a chart. I was extremely thankful for this piece of information as I always feel that I am ever learning and growing in the studies of the stars and the secrets it has to reveal. The article was in my favorite magazine “The Mountain Astrologer” issue 152 august/September 2010 entitled “Sequential Conjunctions” by Frank C. Clifford an astrologer-palmist in the United Kingdom. This article made an impact on me as I have a stellium of five planets in Gemini, and when I was a beginning student I was taught that this was a concentration of energies in one sign so one can achieve one’s directions and goals. One really needs to read the article first hand as I always feel we as readers and listeners to ideas and thoughts, as we tend to take what we need, and see it from our perspective and biases. To simplify, what was being said was the importance and the consequences that comes from the sequences in the Zodiac in a conjunction or a stellium of planets in the same sign. For example I have a conjunction of Uranus and Mercury in Gemini in the ninth with less than a one minute orb with Uranus in the lead. Would there be a difference if Uranus followed Mercury? In the article, and I quite agree that there definitely would be a difference in how we would approach ninth house matters and possibly the differences in handling situations that would be in the aspect by other planets in their houses and their concerns. The author was speaking about the natal chart, but I began to wonder if this could apply for all types of predictive charts such as solar returns, lunar returns, horary charts, et cetera? In examining my other personal predictive charts where this aspect appeared, I did feel there was a slight difference that could make a big difference in the outcome, proving my theory that we do have choices in our destiny, and that we are not ruled or condemned by our planets. One example that came to mind that convinced me of the validity of the consequences of the sequences of the planets was representing the planets as real people in a life situation. Suppose the Universe had brought together Bill, Tom and Nancy, so that one would be her intended for life, and both were equally well suited for her. One may be more outgoing and apparently outwardly more fun then the other. Would there be a difference of choice, if one came into her life before the other? What if the sequence of events were reversed, would there be changes in the outcome? If both were likely candidates I am sure the timing sequence would make the difference in the final choice. Timing is essential in the successful completion of our goals or wishes. This was an important lesson for me to see, that depending on the sequences and the planets involved, slight differences or major eruptions can be seen in these aspects. The major problems would depend on the planet and the sign it was in, and whether it was supporting or weakening the other planets and its sequence in the line up. Having had my eyes opened on the subject I realize it may not make a real difference in most cases, but the one it will affect most will be the difference of existing and living life to its’ fullest. This is another tool to make us all better astrologers in a world that is still skeptical of the art. One can see how the sequence of planets hides the time bomb, which may help build or destroy upon that which we are working towards. The final conclusion is that the timing and the sequence of events is more important in the difference of being mediocre to being outstanding in leading us to a final successful outcome.